A report based on a multi-year independent investigation had been released by the Human Rights Commission of Malaysia (SUHAKAM), and human rights advocacy group Fortify Rights on Wednesday, March 20. 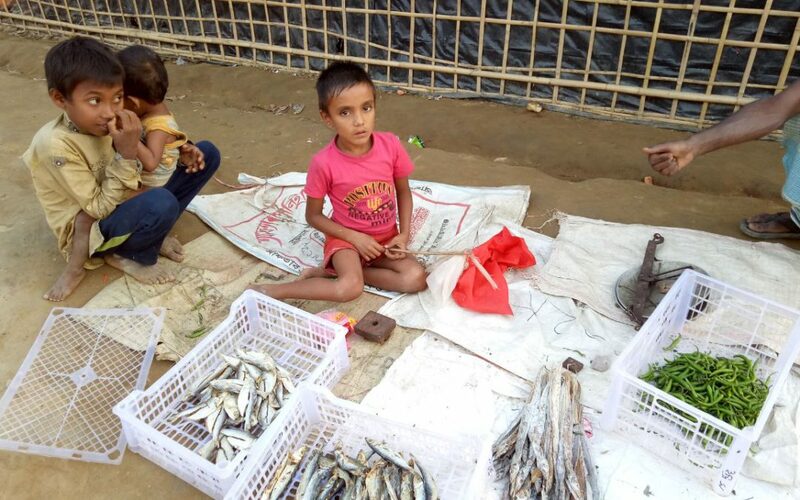 The 121-page report, titled ‘Sold Like Fish’ focuses on the human trafficking of Rohingya refugees from Myanmar and Bangladesh to Malaysia from 2012 to 2015. It releases unpublished evidence of the human rights violations that occurred, including 270 interviews conducted with survivors and witnesses of the human trafficking, as well as governmental officials. Rohingya Muslims have faced ethnic cleansing in Myanmar for decades, enforced by brutal military led attacks and persecution, resulting in hundreds of thousands of refugees forced to flee the country in recent years. The human trafficking gangs hoarded the high numbers of refugees willing to risk the high seas to escape their circumstances onto overcrowded boats, where they were then subject to violence and inhumane treatment. Abdul Yasin, a 17-year-old survivor who fled Burma in February, 2014, had boarded a ship he had been told would take him to Malaysia. He divulged in the report that “some people didn’t have proper food or water and got very mad. When that happened, the dallals [traffickers] stabbed them and threw them into the sea”. Indeed, thousands are believed to have been starved, raped, and murdered at sea by these traffickers. The United Nations High Commissioner for Refugees (UNHCR) estimated that more than 170,000 people had boarded the ships from Myanmar and Bangladesh bound for Thailand and Malaysia between 2012 and 2015. The UNHCR also estimated that the criminal syndicate generated U.S. $50 million to U.S. $100 million annually from this operation alone. Once the boats reached land, the traffickers had the refugees imprisoned in camps and extorted them for money, typically at a rate of U.S. $2000, in order to be released. Rahim Ullah, who had been 16-years old when traffickers tortured him in a camp on the Malaysia-Thailand border in 2014, commented, “When I was unable to pay the money to the men, they poured boiling water on my head and body.” The report also states that the traffickers systematically sold an untold number of women and girls into forced marriages, and situations of domestic servitude in Malaysia. On April 30, 2015, Thai authorities announced the discovery of a mass grave, containing more than 30 bodies of suspected victims of the human traffickers, in an area near the Malaysia border. Thai authorities had arrested the 103 suspects, including multiple senior Thai government officials, and then went on to conduct the largest human trafficking trial in the history of Southeast Asia. On July 19, 2017, the newly established specialized court convicted 62 defendants for the crimes related to the trafficking of Rohingya refugees. And later, on May 25, 2015, the Royal Malaysian Police announced the discovery of 139 graves and 28 human trafficking camps in Wang Kelian, Perlis State, Malaysia. In contrast to Thailand, ever since 2015, Malaysian courts had only convicted 4 individuals in relation to these offences. A Royal Commission Inquiry, however, is now currently investigating the matter. The Commission and Fortify Rights believe that the human trafficking networks committed crimes against humanity at sea and in the camps in Malaysia and Thailand against Rohingya citizens. Under Article 7 of the Rome Statue of the International Criminal Court — the Rome Statute — a crime against humanity is committed when one or more prohibited criminal acts enumerated by the State are “committed as a part of a widespread or systematic attack directed against any civilian population, with knowledge of the attack”. The report takes the stance that despite the measures taken thus far, further accountability is needed to ensure justice for the crimes committed and the prevention of reoccurrence. I am in my fifth year of studying at the University of Canterbury, undertaking both a Bachelor of Laws (with Honours) and a Bachelor of Criminal Justice. I am passionate about public service, the legal system and global social justice issues.